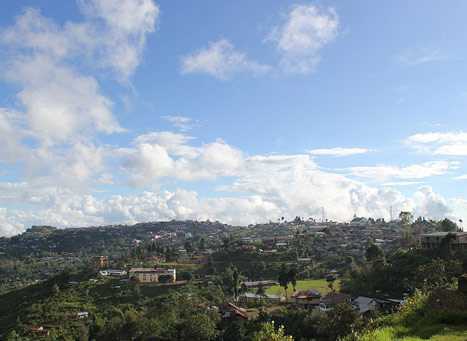 Being enchanting, alluring and mesmerising town of Manipur, Ukhrul is situated far away from the chaotic crowd and the towering and congested buildings. Visiting the place tourists will get an opportunity to get the feeling of no less than heaven. The quaint town of Manipur has a lot to offer to the tourist. Some of them include Khayang Peak which is the highest peak of the Ukhrul district, the Khachauphong Lake which resembles the shape of map of India, the Nilai Tea Estate where green tea is grown. Apart from this, there are other tourism attractions like the Khangkhui Cave, Shirui Kashong Peak, Ango Ching, Azoa Jenephiu Magi Lake and more. Tourists planning to visit Ukhrul can make it via all the means of transport including air, rail and road. Tourist looking for a comfortable and convenient mode to travel, needs to fly to Imphal Airport which is linked to the other major cities of the country. Getting down at the Imphal, tourists can avail the public transport facilities (bus or taxi) that takes the travellers straight to Ukhrul covering a distance of 81 km. The nearest railhead to Ukhrul is located at Dimapur (Nagaland) at an approximate distance of 249 km. The station is linked to the other major cities of the county. Arriving at the Dimapur, tourists can hire taxi that will take you straight to Ukhrul. The road trip to Ukhrul would take approx 9-10 hours of journey giving the tourists an opportunity to enjoy the sightseeing. Tourists planning to Visit Ukhrul by bus needs to travel to Imphal by taking either the air or railway means of transport. Arriving Imphal, one can either take the taxi or rent a car to drive to Ukhrul which is approx 3-4 hours of journey.